Spring is definitely my favorite season of the year because it signifies rebirth, fresh starts, and renewal. Like the sun rising every day, it's a time that you can certainly count on annually and implement some meaningful lifestyle decisions around it – again, centering on rebirth, fresh starts, and renewal. The beauty of the spring season is that through physical transformation of nature (like flowers blooming), we naturally become inspired! When it comes to the more practical significance of spring, however, what immediately comes to mind for you? Probably spring cleaning, right? Spring cleaning your home, garden, car – oh yes, the “honey-do” list. 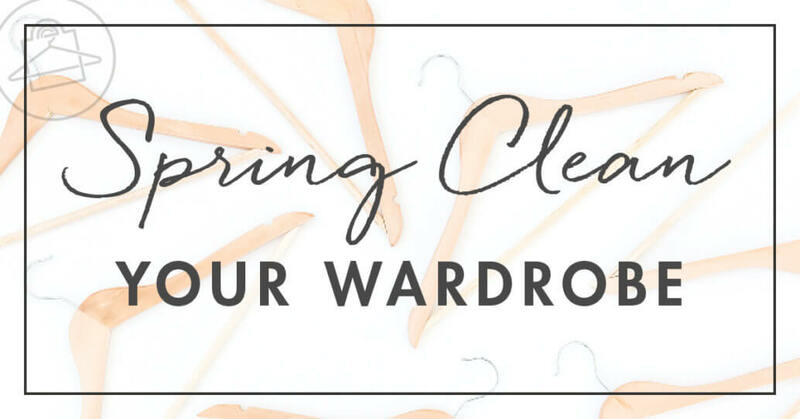 And of course, spring cleaning your closet! Most of these activities are a regular routine for us – we mimic nature by bringing fresh starts into our lives and moving forward. All very excellent and necessary things to do! 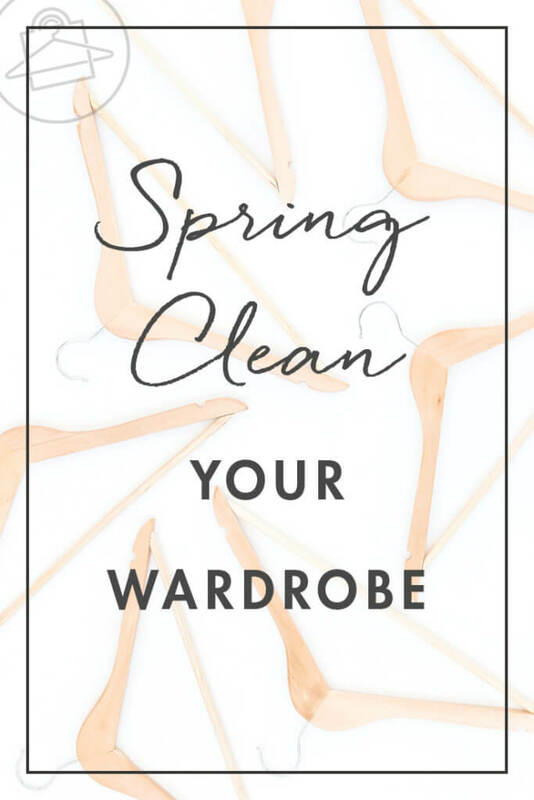 But when spring cleaning your closet, a methodical, purposeful cleanse is the best and most efficient way to tackle what may seem like an insurmountable task. And don’t worry, I have you covered! My fantastic FREE closet cleanse program helps you step by step to thoroughly spring clean your closet in just eight days! And what’s more, to help you organize your newly-cleansed closet, you can access my must-have closet organization tools as well! Now as we spring forward, let’s also not forget to fall back when thinking about your closet. We often get so caught up in the here and now (especially when concerning our wardrobe), that we forget about some key basics around maintenance of our clothes from last season – especially getting them prepped for the next season. I don’t want you to get caught up in the last-minute maintenance activities this coming fall. Instead, take a look below where you’ll discover how to ensure your fall & winter wardrobe is totally ready for next season! Fall & winter can bring some serious wear and tear to your beloved shoes. Instead of tossing them though, opt to bring them back to life by taking them to your local cobbler. A great cobbler can work with any shoe whether it’s a boot, pump, or flat. Pay special attention to the heels and soles of your shoes, as well as scuff marks and possible staining from salt, etc. Leather shoes should be cleaned moisturized; and suede shoes should be cleaned and sprayed with a protectant layer. When they’re refurbed and are like new, keep them that way with proper shoe storage. Refresh your delicate knits, heavier sweaters, and warm coats so that they’re ready to do it for you all over again next fall/winter season! Proper care of your knits and coats will ensure their beauty and longevity so it’s really important not to miss this step. And don’t forget to remove the dry cleaning plastic off of all your garments once you get them back home; and be sure to store them in sensible storage boxes (this will keep your knits fresh and protect them from dust). Besides shoes, most of us rock leather in so many other areas of our everyday wardrobe including: jackets, belts, handbags, gloves, and wallets. Staying on top of your leather goods will also ensure a long life and extra money spent on replacements. If you think about it, leather is technically skin – and skin needs to be moisturized and conditioned. If not, it will dry and crack (believe me, I’ve had it happen to a pair of my shoes before!). The good news is that in most cases, your shoe cobbler should also be adept at repairing, restoring, and conditioning your favorite leather goods as well. So, gather up your fall/winter staples and bring them back to life for the next season! And finally, if you’re short on hanging space in your closet, or want to go the extra mile to protect your fall/winter clothing, I recommend storing your unused fall/winter items in stylish storage boxes that are cute but, more importantly, functional! 😉 Storing your freshly dry-cleaned clothes in convenient storage boxes is most important to keep dust at bay, eliminate unnecessary stretching, and to keep them organized. They’ll be ready for their debut the next season! Here are some super cute, yet practical storage options for your closet. Love These Pieces? Click It to Own It! So there you have it – the perfect formula to spring clean your closet! Join my FREE closet cleanse challenge AND implement my tips above on how to prep your fall/winter wardrobe for action next season. What additional ways do you prep your wardrobe for the next season? I want to know! Reply in the comment section below or tag me in Instagram or Facebook!